Our tooling department is considered by some of our customers to be the best source for manufacturing precision plastic injection molds. Two shifts of journeyman and apprentice moldmakers build molds at a rapid pace. Whether your need is for an aluminum prototype, medium hardness steel pre-production mold or hardened high-volume production mold, our quick lead-times help our customers get new projects off the ground in a hurry! Our CAD/CAM and direct machining capabilities allow us to take part database files and turn them in to cores and cavities quickly. Complex shapes and contours are not a problem for our CNC professionals. With high speed 3 axis CNC mills, we can cut any material quickly. All programming is done in-house. 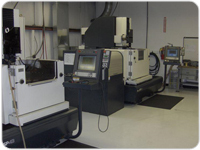 Our EDM department includes Wire EDM, Sinkers and EDNC. Our EDM professionals also do all of the programming in-house. 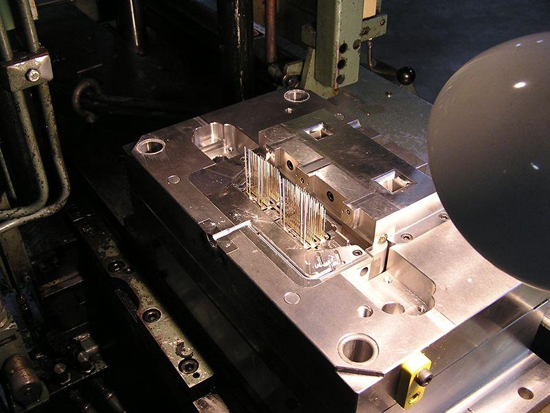 Using all of the latest mold design concepts, our molds are built with precision and made to last. 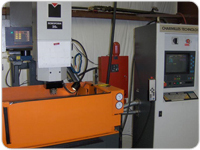 With in-house CNC, EDM, heat treating and polishing, we have full control of the entire moldmaking process. 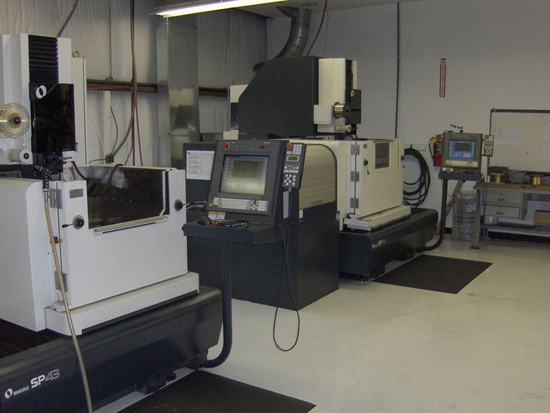 Both shifts of our Tool Department are well adapted to the rigorous demands of tight tolerances and short lead-times, whether your need is for prototypes or high volume production tooling. Facility Tool Room 9,240 sq. ft. Manufacturing 32,780 sq. ft.
Total 45,460 sq. ft. Offices 3,440 sq. ft.
Tool Room High speed CNC milling machines. In-house heat treating and polishing. Wire, sinker and EDNC EDM machines. Injection Molding 1 vertical injection molding machine. 18 horizontal injection molding machines (10 all-electric servo driven). Star, Sepro and Yushin robotics. QAS Version 3.1 SPC Software. Servo-driven CMM. Video and optical comparators. 33.5 x 28.3 x 12.6 Max Work Piece Accuracy ±0.000060"
20 Station Tool Changer Accuracy ±.00006"
Bridgeport Vertical Mill 15" x 33"
Chevalier Wet Grinder 16" x 40"
(2) Harig Surface Grinders 6" x 18"
Clausing Lathe 13" x 42"
(1) 40 Ton JSW Electric 0.8 oz. (1) 55 Ton JSW 2.0 oz. (1) 85 Ton JSW 3.1 oz. (1) 110 Ton JSW Electric 4.3 oz. (1) 110 Ton JSW 5.6 oz. (1) 120 Ton JSW Electric 4.3 oz. (2) 120 Ton JSW Electric 5.6 oz. (1) 154 Ton JSW Electric 4.3 oz. (2) 200 Ton JSW Electric 7.3 oz. (1) 200 Ton JSW Electric 9.6 oz. (3) 245 Ton JSW 17.8 oz. (1) 242 Ton JSW Electric 11.2 oz. (1) 310 Ton JSW 28.6 oz. (1) 385 Ton JSW 28.6 oz. Extremely low ppm levels for all parts. Complete first piece layout capable. 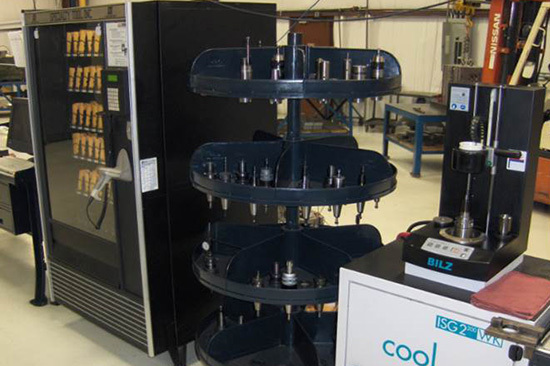 Our Quality Assurance Lab is equipped to handle inspection of the most difficult of parts. 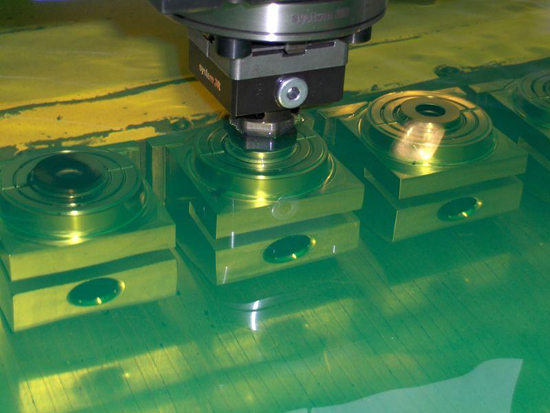 Utilizing a servodriven Coordinate Measuring Machine along with optical and video devices, part layouts and in-process inspection are a snap. 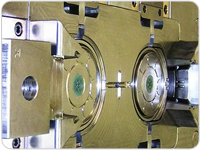 As an ISO 9001 and ISO/IATF 16949 certified molder, our quality manual and procedures are well defined and documented. 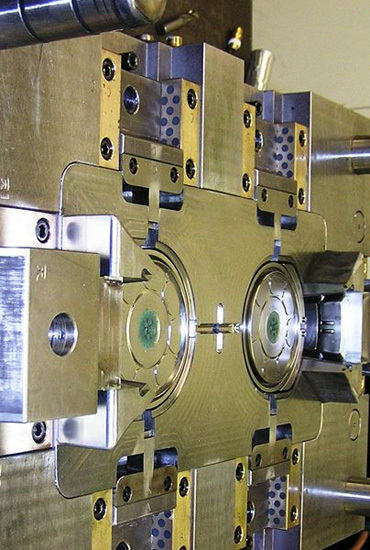 Scientific Injection Molding, Process Optimization and the Universal Set-Up Sheet. 3D solid design, Unigraphics NX6 and SolidWorks 2009. Prototype mold build and run. Deliveries as quick as "ONE WEEK". Production mold build and run. 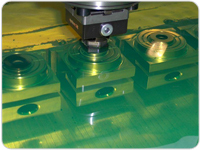 We have all the latest and greatest technology including "HIGH SPEED HARD MILLING". 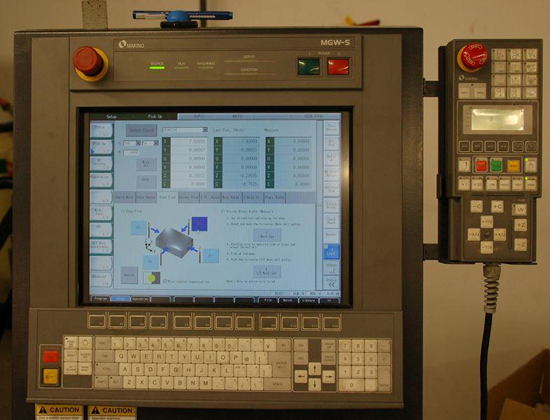 Tools can be produced faster with greater accuracy. 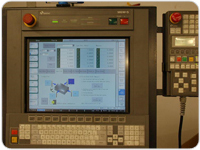 Metrology Lab with "Servo Driven, 720 positions Renishaw Probe, B&S CMM", and video comparator. Horizontal and vertical molding machines, 40 to 385 ton. Allowing a wide range of product sizes as well as insert molding. Robots and conveyors for those special needs. Portable clean room 100,000 clean room. ISO 9001 and ISO/IATF 16949 certified. A good part is the culmination of proper resin selection, component design, tool design, tool construction and processing. Each is equally important and must be done correctly. Easier life on production floor. Plastics point of view to forming identical parts consistently. Scientific approach to establishing all molding variables. A process where the machine adapts to changes in viscosity not the operator. The ability to move from press to press and reproduce part consistency. Viscosity versus flow rate, pressure loss, gate seal and short shot studies. In business for 51 years. Management Team with over 200 year of experience. 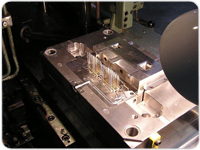 Scientific Injection Molding - We build ready to run molds. Seamless take over of all custom injection molding services. Structured project management reduces lead-time for quick to market requirements. We partner with local and off-shore businesses to meet all your goals. Lean manufacturing principles applied to all processes. Climate controlled facility for enhanced process control. Design, tool build, production, qualification and secondary operations all under one roof. Wide range of press tonnage to service all your needs (40 to 385 ton). 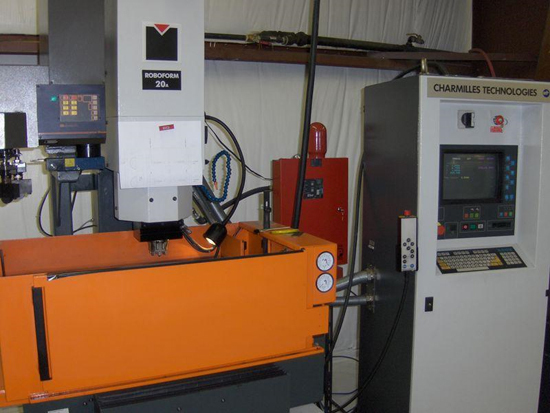 Horizontal and vertical molding machines. Financially sound with room to grow. A corporation founded on the principles of truth, honor and integrity. File transfer made easy. We can accept STEP, XT, IGES. 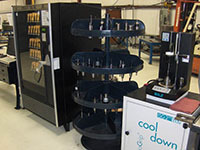 Climate Control facility for enhanced process control.